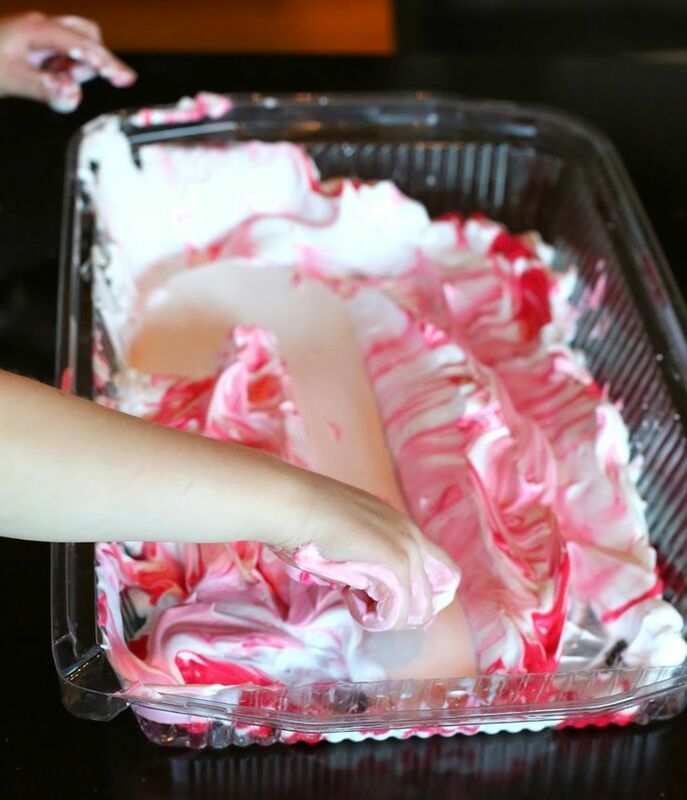 Sensory Art: exploring shaving cream and food colouring with our hands. 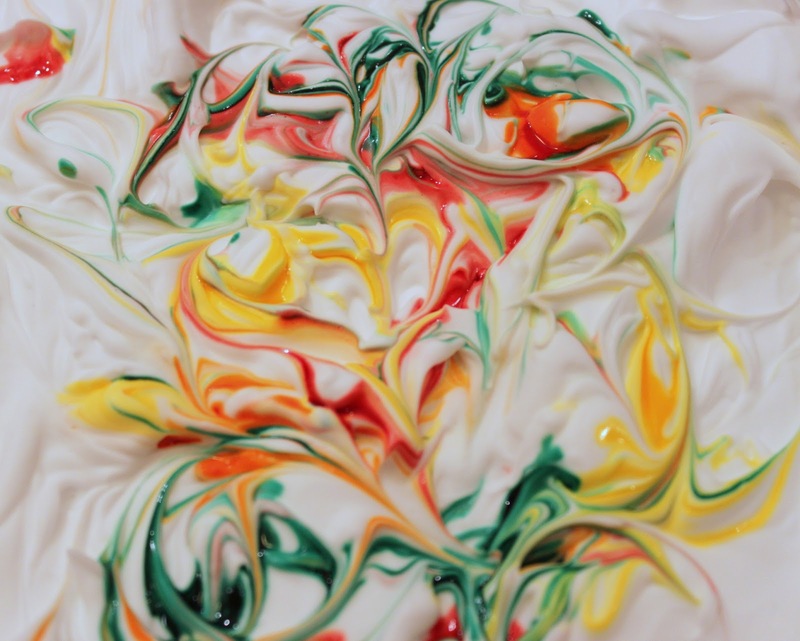 We enjoyed another wonderful art technique the other day, creating sensory art with shaving cream and food colouring . You may have seen our Giant Shaving Cream Magna-Doodle a couple of weeks ago when we covered our 6 dollar, thrift-shop table in shaving cream and doodled the morning away. Okay, before you get all up in arms, crying, "I thought this was about alternatives to shaving cream," let me say that I like science and every good experiment needs a control. The other day, Darling Baby got into my husband’s shaving cream. Since I’ve recently started cleaning up our personal care products and looking for natural options, this prompted me to look at the ingredient list and see how it rated on the EWG Database.